Kershaw Volt Assisted Opening Pocket Knife | BUDK.com - Knives & Swords At The Lowest Prices! 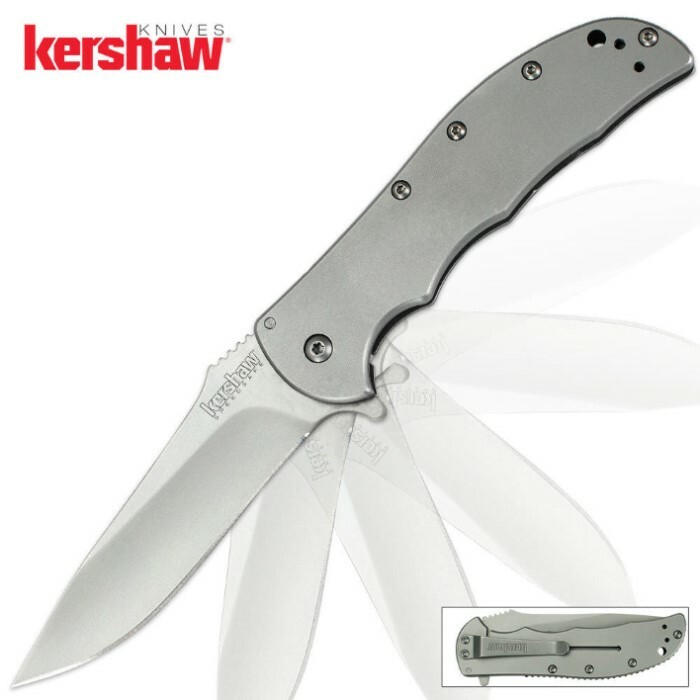 An updated version of the Kershaw Volt, this all stainless steel version is a guaranteed hit. The sleek, simple design gives it a classic appearance that allows performs like a dream. The 8Cr13MoV stainless steel has been heat treated to the perfect strength and hardness, then honed to a razor-sharp edge that it will hold for what seems like an eternity. SpeedSafe assisted opening rockets the blade open at lightning speeds and the sturdy frame lock ensures the blade won't accidentally close while in use. A 2-position pocket clip is included. I've always been a fan of Kershaw knives...and the volt 2 is no exception. Takes and holds a good edge,and is slim but very sturdy...is great for EDC or just about anything else. Good quality, arrived sharp, went to put thread locker on screws but pleasantly surprised that they already have it on them. Thin design and pretty light weight. blasted finish gives good grip.